F.E.A.S.T. 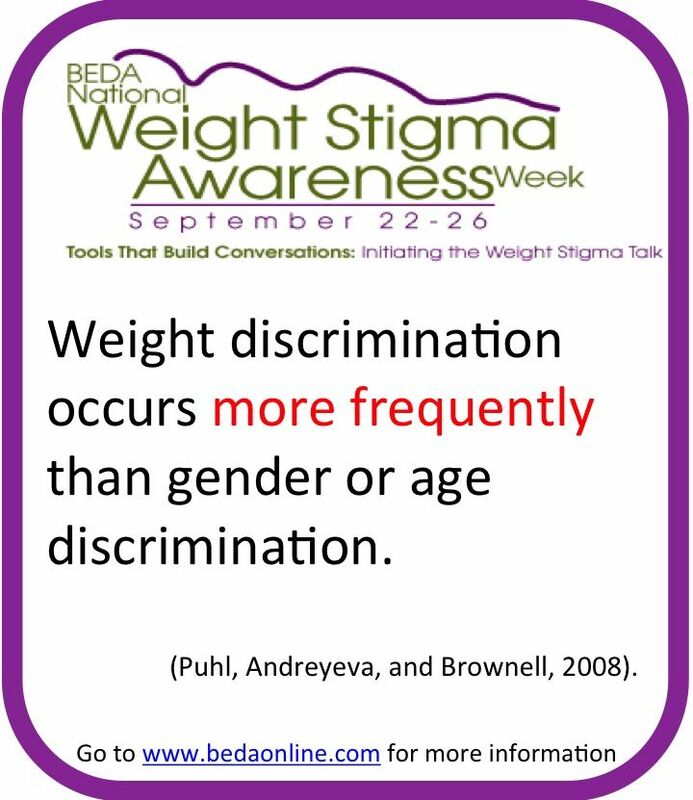 is proud to support BEDA’s Weight Stigma Awareness Week 2014 (#WSAW2014) September 22 – 26. Together we are extending our outreach and creating awareness about the harms of weight bias and weight stigma – how it promotes disordered eating, how it impacts health care and how it leads to social injustice. 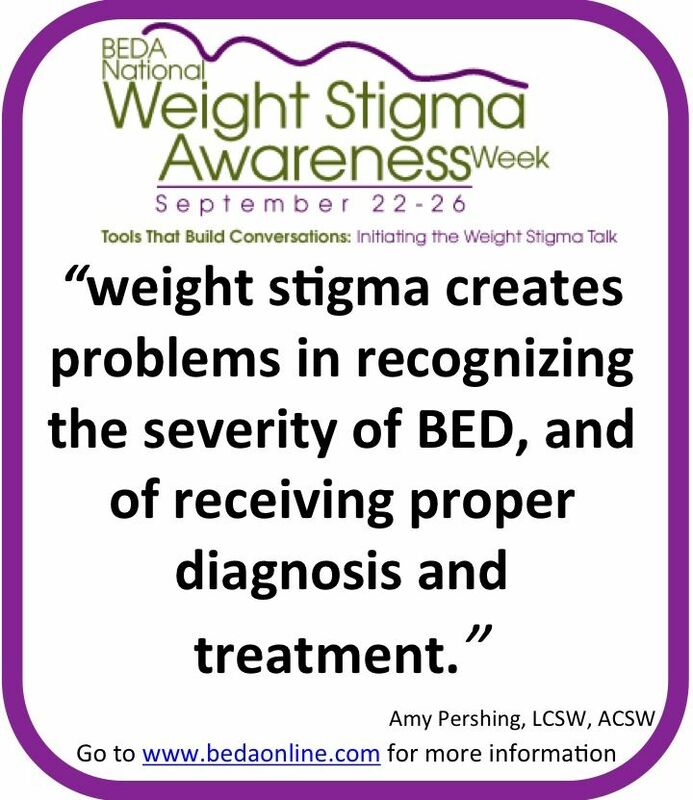 Throughout the week of September 22 – 26 you will find toolkits, blogs and interviews that support the theme Tools That Build Conversations: Initiating the Weight Stigma Talk on the BEDA website as well as among our social media activity. Together we support the concept of asking for what you need and valuing your lived experience. By learning how weight bias and weight stigma affect your interactions, you can learn the best ways to address the occurrences in your life. We want to be part of building framework to promote the act of self advocacy in the presence of your doctors, your therapists, your movement experts, your nutritionists and your child’s school setting. Facebook and Google+ pages during the month of September to share in the discussion. This matters to us all- be part of the conversation! Let's Take the M.O.M. March Around the World!